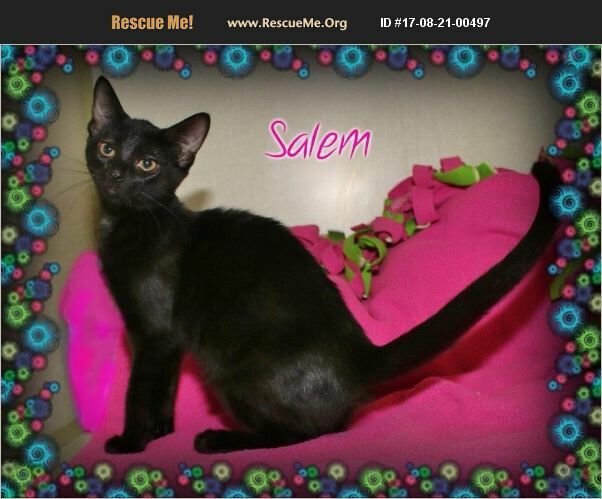 Salem is a female black kitten. Current on age appropriate shots. Already spayed.